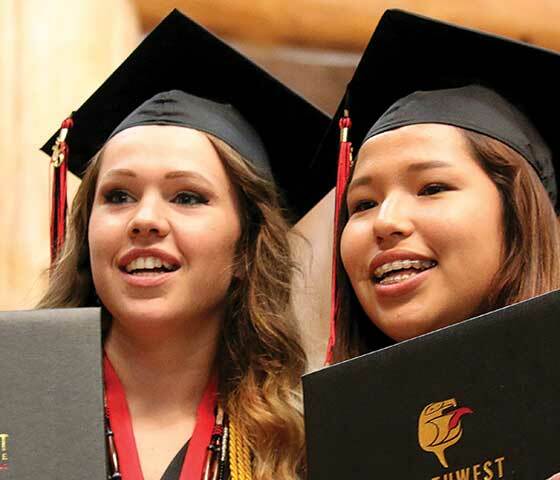 Northwest Indian College graduates. Photo courtesy of Elizabeth Solomon, NWIC. It's time for equity for American Indians in higher education. The federal government, despite its direct trust responsibility and binding treaty obligations, has never fully funded TCU institutional operations at $8,000/Indian student, as authorized under the Tribally Controlled Colleges and Universities Assistance Act of 1978. Most of the other colleges’ authorities are not as absolute, but their operating budgets are not adequate. We need the Administration to propose and Congress to fulfill and sustain full and adequate funding for the nation’s Tribal Colleges and Universities. TCUs land-grant status is critically important because as American Indians, land is central to who we are. Yet, the TCU (1994) land-grant programs are unduly small compared to other land-grant institutions. In FY 2017, Congress appropriated $476M for extension activities, to which the 1994s (34 TCUs) received $4.5M (0.9%) for competitively awarded grants. Additionally, the 1994s are the only members of the land-grant system that are prohibited from competing for an additional $85.5M in Smith-Lever 3(d) grant program funding; nor can they participate in the McIntyre-Stennis (forestry) program. We ask that Congress recognize that the first Americans deserve parity within in land-grant system and take immediate steps to rectify this disparity. Congress needs to ensure, through legislation, TCU participation in all federally funded programs administered by states and open to other institutions of higher education. Because TCUs are located primarily on federal trust land, unless Congress expressly asserts that states must include TCUs in federal programs, or even better, specifies funding through a TCU set-aside, there is no guarantee that TCUs will be able to participate in these federally funded programs. Keep participation in the federal student loan program voluntary. Tribal Colleges and Universities (TCUs) work hard to keep tuition low to allow their studentsespecially those planning to seek advanced degreesto graduate without debt. Mandating loan program participation and tying institutional Title IV eligibility, including Pell Grants, to loan performance metrics will unnecessarily impede Native and other low-income students from pursuing, let alone achieving, higher education goals. Institutions of higher education need flexibility to create aid programs that meet the needs of their students and communities. Hold TCUs harmless from future cuts, including sequestration. Tribal College students, faculty, and communities rank among the nation’s poorest. Continuing to operate with continually reduced funding – as demand for access increasesis catastrophic for TCUs that have operated since inception on austere budgets. TCUs are not seeking a handout. We are only asking that Congress hold harmless the nation’s only Tribal institutions of higher education. We urge Congress to uphold the federal responsibility to meet the higher education needs of Native students by restoring all TCU programs to the FY2010 levels and eliminate our colleges from future across-the-board cuts and in doing so; begin to eliminate added barriers to success for this historically overlooked population.